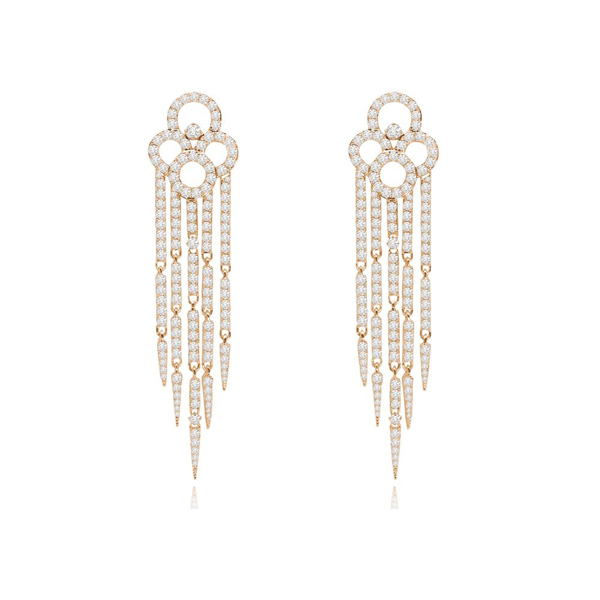 This set of David Yurman earrings feature a cable design in 18K yellow gold. 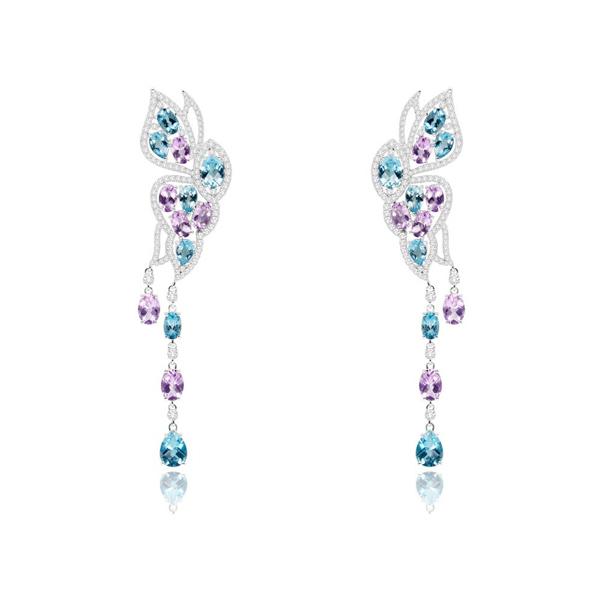 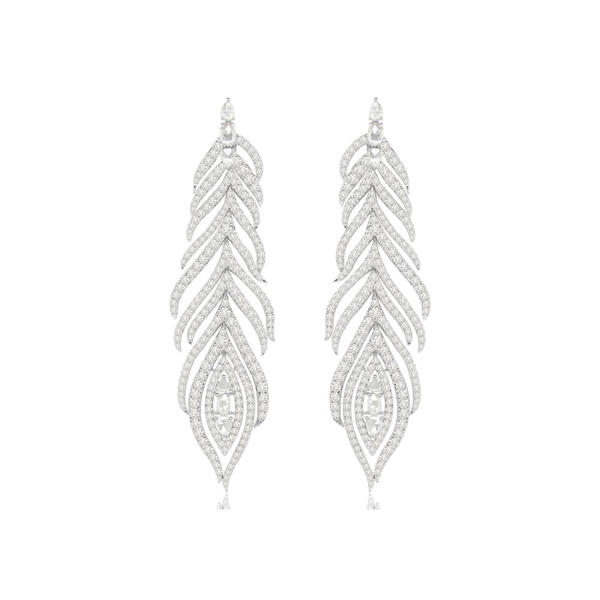 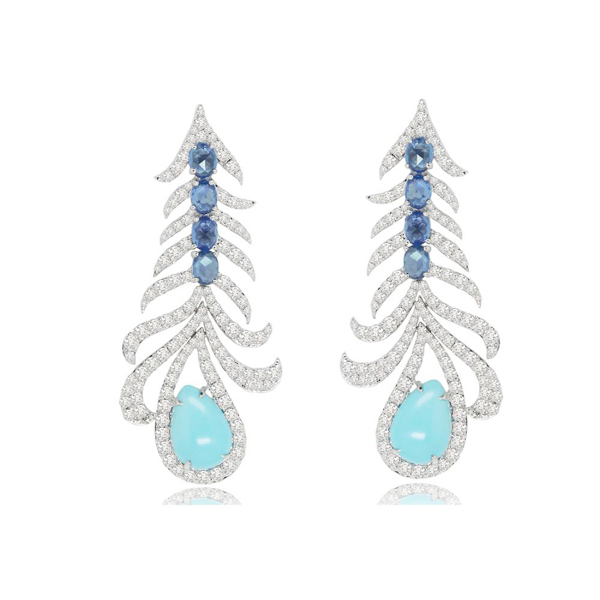 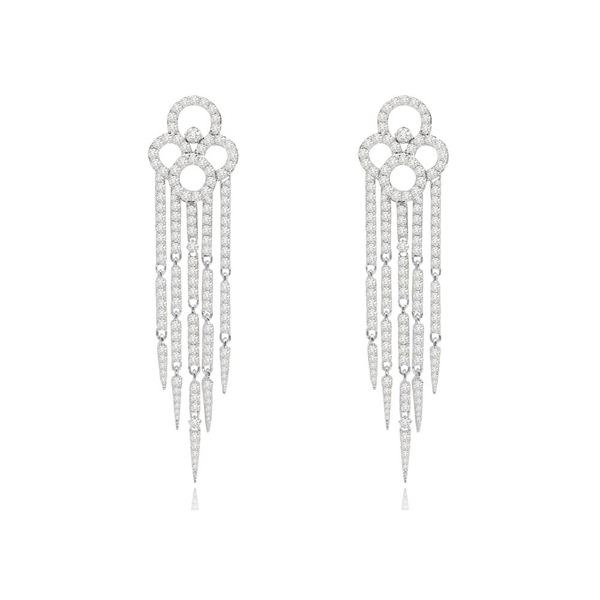 Each earring has a pave ball of 16 diamonds at the end of the curl. 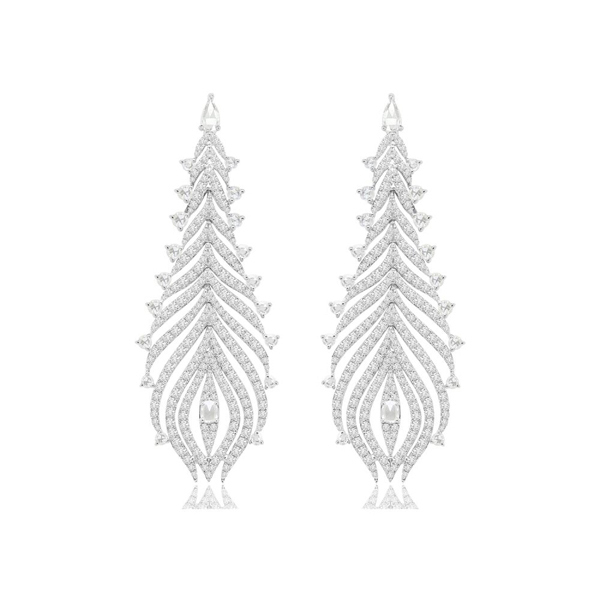 They have an omega clasp on the back. 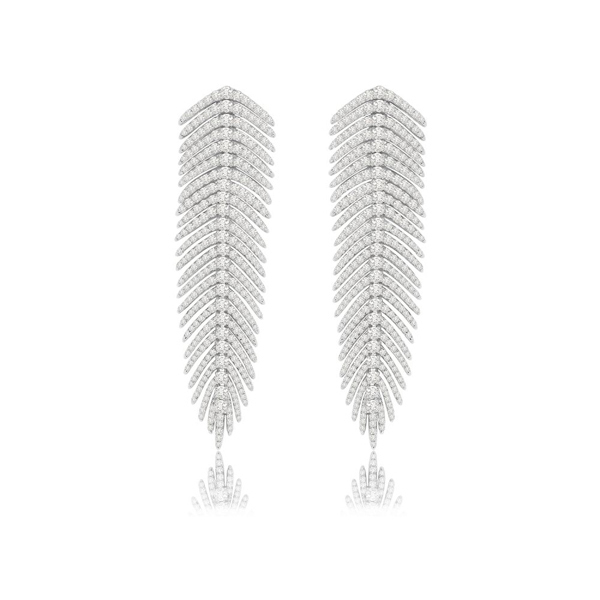 Each earring measures 17mm tall x 16mm deep x 11mm wide and weighs 7.2 grams. 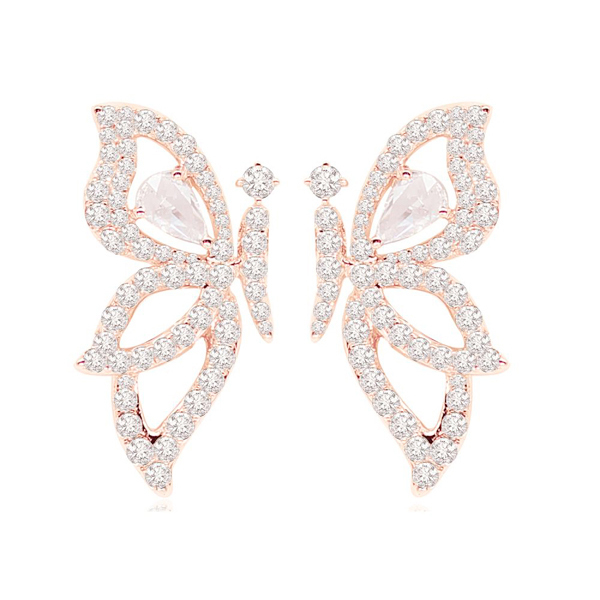 This pair of 18k rose gold earrings is set with 7.66 ct. of round brilliant diamonds. 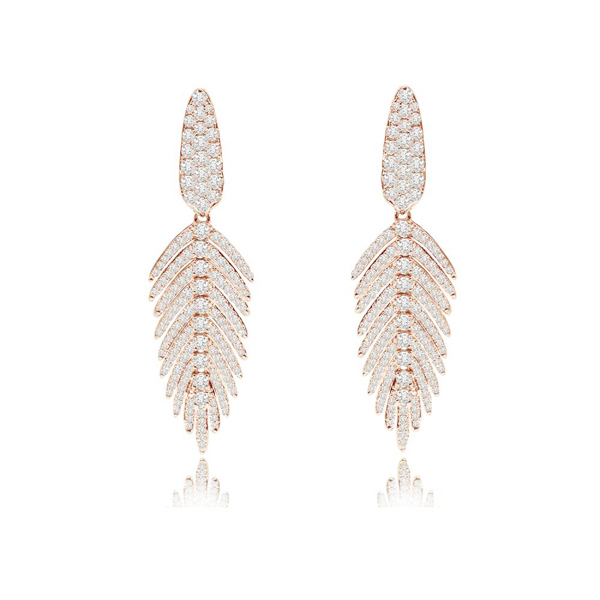 This pair of 18k rose gold earrings is set with approximately 3.68 ct. of round brilliant diamonds. 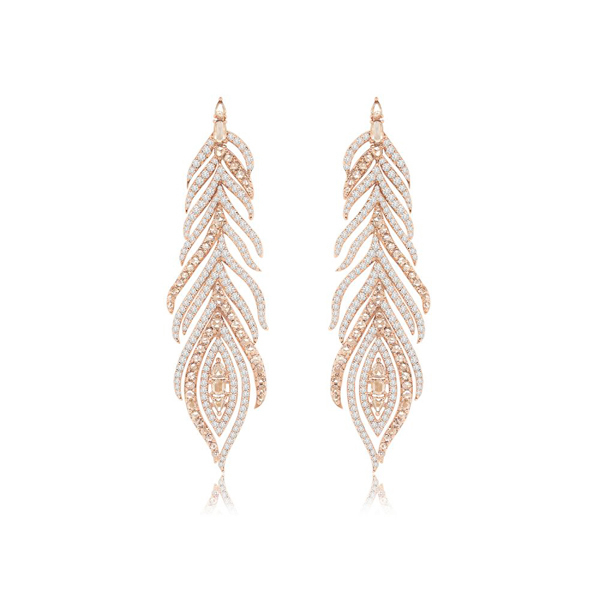 This pair of 18k rose gold earrings is set with 2.35 ct. of round brilliant diamonds. 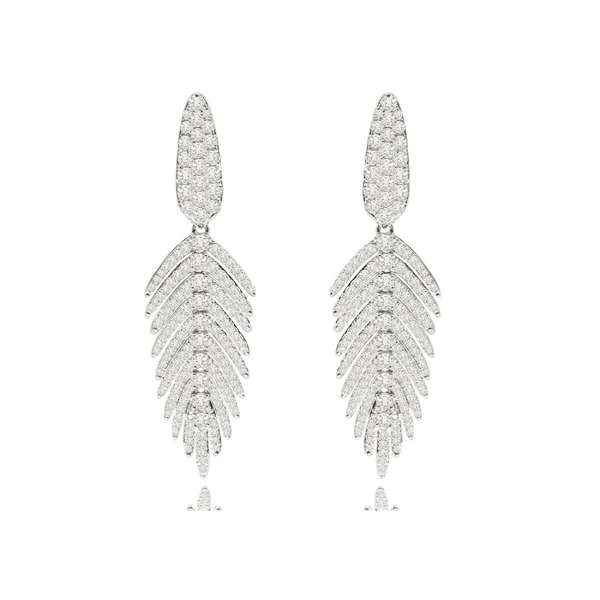 This pair of 18k white gold earrings is set with 7.69 ct. of round brilliant, pear-shaped and oval diamonds. 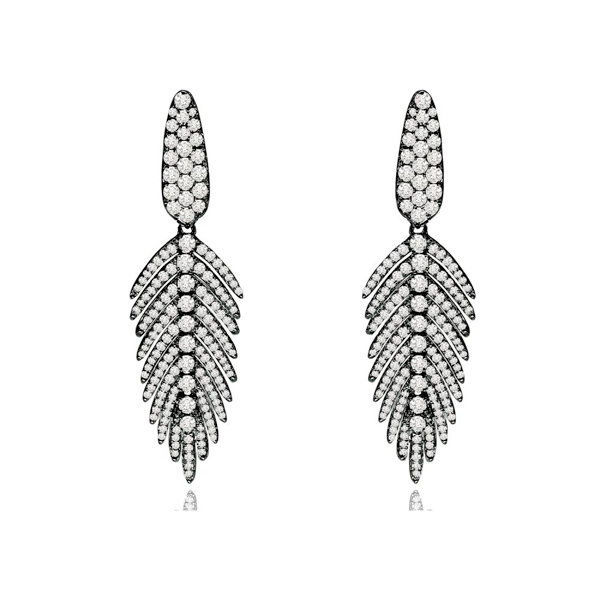 This pair of 18k white gold earrings is set with approximately 3.68 ct. of round brilliant diamonds. 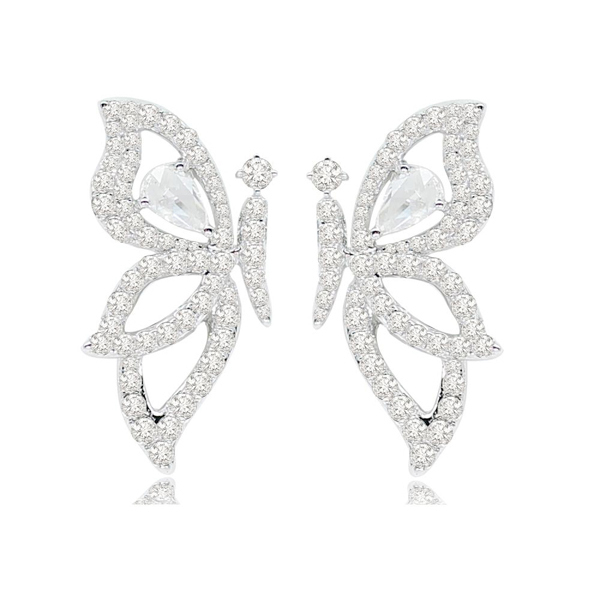 This pair of 18k white gold earrings is set with 4.64 ct. of round brilliant diamonds. 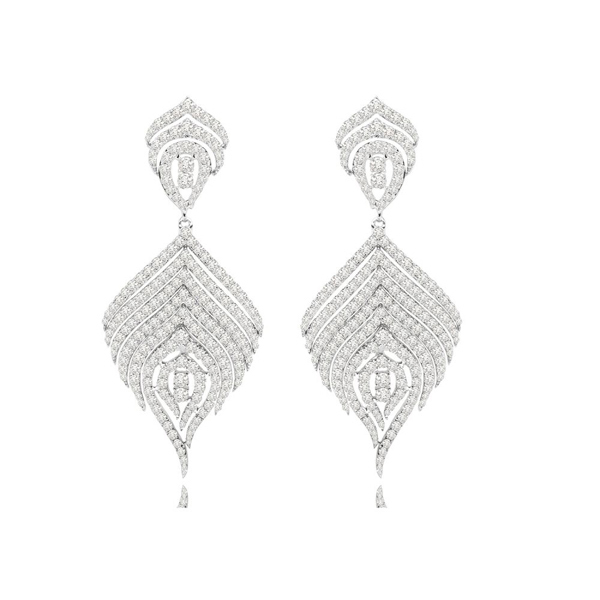 This pair of 18k white gold earrings is set with 2.34 ct. of round brilliant diamonds. 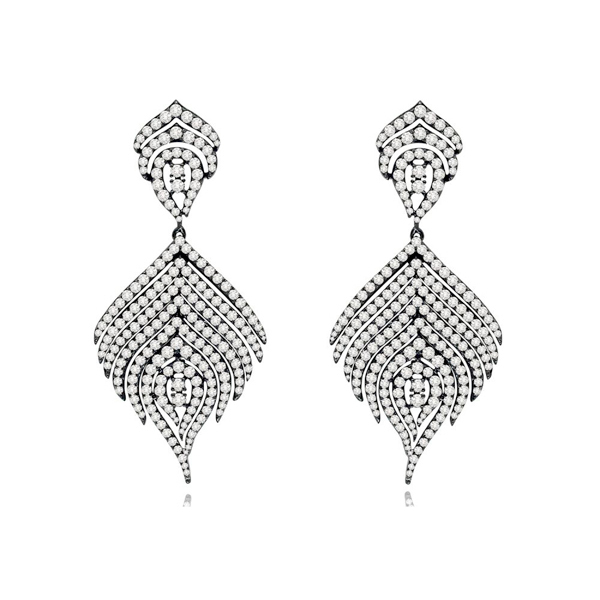 This pair of 18k white gold earrings is set with 4.74 ct. of round brilliant diamonds. 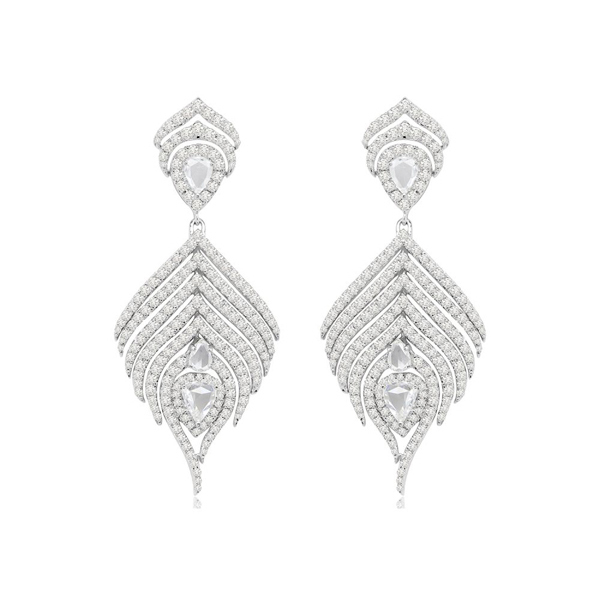 This pair of 18k white gold earrings is set with 6.73 ct. of round brilliant, pear-shaped and oval diamonds. 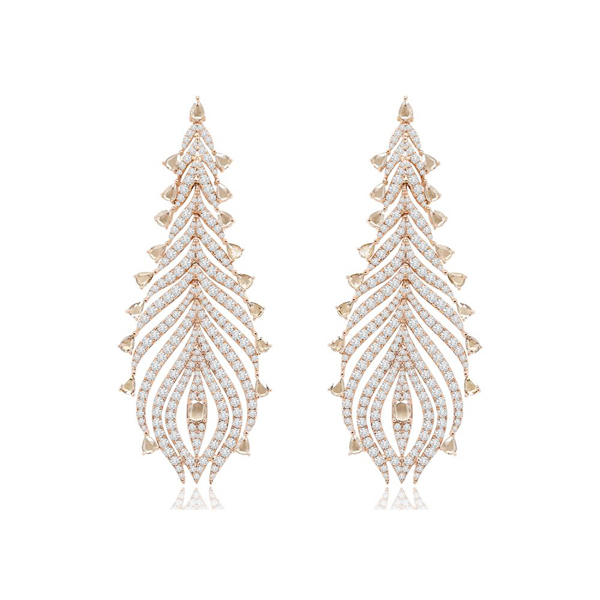 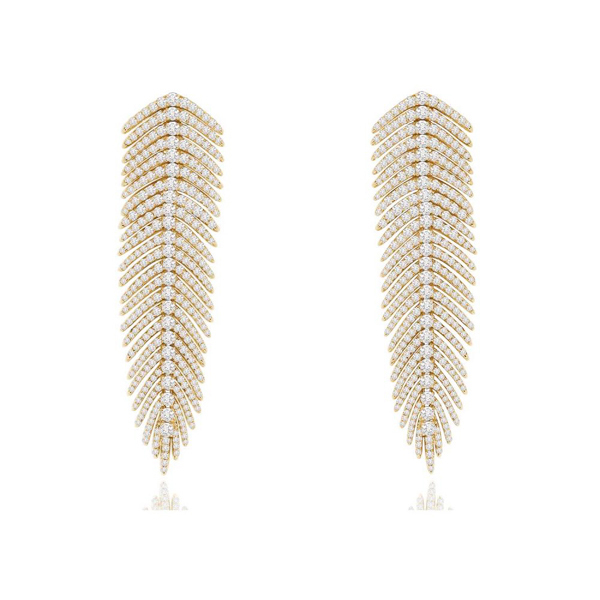 This pair of 18k yellow gold earrings is set with 4.75 ct. of round brilliant diamonds.